An editor’s job is to evaluate and select content for publication, which can include reviewing, rewriting and editing the work of writers; planning the content of books and magazines; and deciding what material will appeal to readers. Throughout American history, talented women have found opportunities – or made their own – in the newspaper business as editors and publishers. America’s first woman newspaper editor, Ann Franklin (1696-1763) was the wife of the printer James Franklin and sister-in-law to Benjamin Franklin. It appears that Ann learned the newspaper business from her husband soon after her marriage in 1723. After James experienced harsh censorship in Boston and served a jail term for the so-called “wicked” articles he published in The New England Courant, James and Ann Franklin moved to the more liberal colony of Rhode Island. The couple brought the first printing press to the colony and published its first newspaper, The Rhode Island Gazette. In 1736, Ann Franklin petitioned the General Assembly of Rhode Island, requesting printing jobs so that she could support her family. She was awarded the contract, becoming the General Assembly’s official printer, a position she held until her death. Franklin also expanded her business by compiling and publishing five editions of the profitable Rhode Island Almanack for the years 1737-1741. All of the Franklin children worked in the family business. The daughters set type, while James Jr. helped his mother run the business, now called “Ann and James Franklin.” During this time, however, some of Ann’s imprints continued to bear the name “Widow Franklin.” In 1745 she undertook her largest commission yet, five hundred copies of a folio edition of the Acts and Laws of Rhode Island. 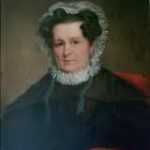 Ann gradually turned over business responsibilities to James Jr., but after the deaths of her remaining children, Ann returned to the printing press at age 65. 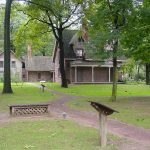 She hired former son-in-law and printer Samuel Hall as her business partner in 1761, forming “Franklin & Hall,” which lasted until her death in Newport in 1763. Ann Franklin, the first woman to write an almanac, was also the first woman inducted into the University of Rhode Island’s Journalism Hall of Fame. In 2008 she received the Yankee Quill Award, which recognizes a lifetime contribution toward excellence in journalism in New England. The award is bestowed annually by the Academy of New England Journalists, and administered by the New England Society of Newspaper Editors. It is considered the highest individual honor awarded by fellow journalists in the region. On December 30, 1738, Lewis Timothy was killed in an accident, and Elizabeth took over his former duties. In her first issue of the Gazette, she informed readers that it was customary in a printer’s family for wife and sons to help with the printing operation, which explains why she was able to continue her husband’s work. Her son Peter was listed as the printer (even though he was too young to take over the newspaper until years later). A woman’s name could not appear on the masthead. Elizabeth also completed the contract with Benjamin Franklin, who found the widow a far better business partner than her husband. 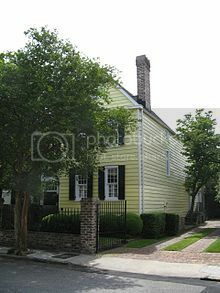 “Her accounts were clearer, she collected on more bills, and she cut off advertisements if payments were not current.” The shop also printed essays, sermons, almanacs, treatises and government documents, including The Laws of the Province of South Carolina. 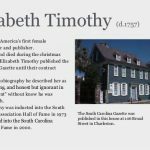 Elizabeth Timothy is recognized as the second female editor and publisher of a newspaper in the American colonies and one of the world’s first female journalists. She performed these roles while also fulfilling her duties as mother and homemaker. When Peter Timothy turned 21 in 1746, he assumed operation of the Gazette, and Elizabeth opened a bookstore next door to the printing office. Anne married William Royall in 1797, and they lived together comfortably until his death in 1812. Royall’s relatives contested his will, claiming that Anne and William were never legally married and that his will leaving her most of his property was a forgery. After seven years, the will was nullified, leaving Anne penniless at age 50. Considered by some to be the first woman editor of a major daily newspaper in the United States, Cornelia Walter (1813-1898) was the theater critic of the Boston Transcript newspaper (1830-1941) when her elder brother, Lynde Walter – co-founder and original editor of the paper – passed away in 1842. At age 29, Cornelia assumed the job of editor of the Transcript and held that position until 1847. One of her reporting highlights came during a race riot in Philadelphia, in which she chronicled the plight of the black citizens who had been victimized and left homeless. On the morning of August 1, 1842, a parade was held by over 1,000 members of the black Young Men’s Vigilant Association in Philadelphia, commemorating the eighth anniversary of the end of slavery in the British West Indies. As the paraders neared Mother Bethel Church, they were attacked by an Irish Catholic mob. The rioters moved west, setting fires as they went. African American leader Robert Purvis and his home were saved from the Irish mob only through a Catholic priest’s intervention. As the rioting finally began to subside, the local militia was brought in to restore order. Married in 1836, Jane Grey Swisshelm (1815-1884) launched her journalism career in 1842, at age 27, with the Dollar Newspaper and Neal Saturday Gazette, using the pen name Jennie Deans; she later wrote for an abolitionist newspaper in Pittsburgh, the Spirit of Liberty. In 1848 Swisshelm started the Pittsburgh Saturday Visiter, a weekly newspaper that had a national following in abolitionist circles. In it she attacked slavery and strongly supported women’s rights. 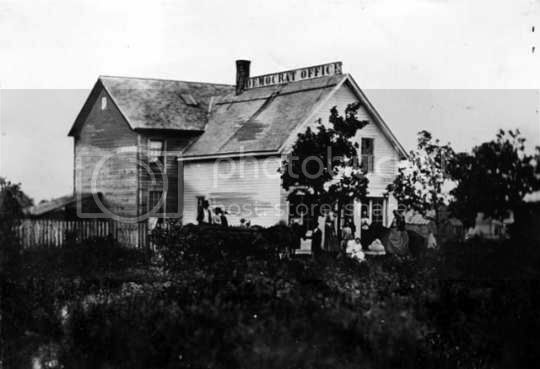 After her daughter’s birth in 1851, Swisshelm was burdened with the strain of work, a failed marriage and an infant at home. In 1856, the Visiter merged with the Pittsburgh Journal. Jane left her husband and took her daughter to St. Cloud, Minnesota, to live with her sister and brother-in-law. There she she founded and became the editor of a newspaper named the St. Cloud Visiter. Her condemnation of slavery earned her the enmity of Sylvanus Lowry, a native of Tennessee, local Democratic politician, and leading citizen of St. Cloud. In 1858, Lowry’s allies destroyed Swisshelm’s presses and trashed her office, which only made her more popular and determined. Under a new title, the St. Cloud Democrat, and with new presses supplied by her friends, she resumed her attacks on Lowry and promoted the Republican Party. One must never forget that writing and editing are entirely different arts, or crafts. 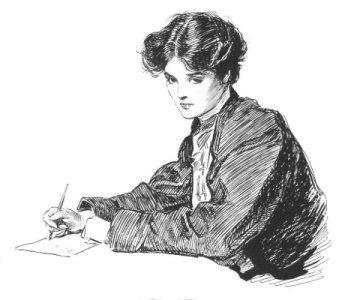 Good editing has saved bad writing more often than bad editing has harmed good writing. This is because a bad editor will not keep his job for long, but a bad writer can, and will, go on forever. Good editing can turn a gumbo of a piece into a tolerable example of good reporting, not of good writing. Good writing exists beyond the ministrations of any editor. That’s why a good editor is a mechanic, or craftsman, while a good writer is an artist.